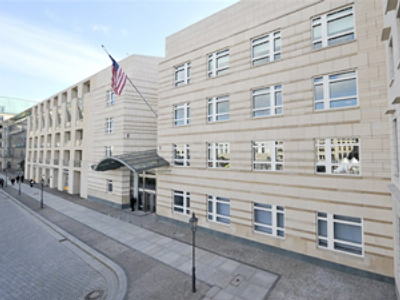 A German guard may have committed suicide inside the American Embassy in Berlin. According to an Embassy statement, the person died at about 1 p.m. on Friday "under circumstances that indicate a possible suicide." However, no further details have been announced. Berlin police said the man was a security guard and they cannot release other information at this time.